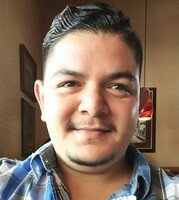 Hi my name is jesus ramirez i been working on cars since i was 13 years old i have a great passion working on cars i like taking care of the customers cars and see a happy customer . give me a chance to show you what im capable of doin and give a great service to the customer. Fast and was early. Professional and knew exactly what he was doing. Thank you! Very professional and timely. Great job! Jesus came and did repair while In as at work. He was on time fast and did a great job. It was so convenient. My car had a busted fan belt, so I thought. So I made an appointment to have it replaced by a mechanic from YourMechanic.com. Jesus Ramirez was my mechanic. He was on time, professional and answered all my questions. He diagnosed the problem was the bad idler pulley and so ordered additional parts. he got the problem fixed and car going again. He pointed out the leak from the power steering reservoir probably caused the pulley to go bad. The easiest and reliable service I’ve ever had! Definitely will use again especially if Jesus is the one fixing my car ! Jesus is very kind and highly skilled. Looking forward to meet your service again !